A butcher block countertop made of rock maple in the modern or vintage kitchen combines beauty, functionality, and durability. Its easy to maintain with mineral oil and bees wax. There arent many things that reveal the functionality and the curb appeal of a contemporary or vintage kitchen space as much as its countertops. When most kitchens are on the drawing board or are under consideration for a much needed remodeling project, the countertops are one of the first objects to be considered. And of course, its a big factor affecting the projects price tag. If youre remodeling your kitchen in order to make it stylish and functional, youll have to know how butcher block countertops are installed. This type of kitchen counter is usually constructed of pieces of rock maple, laminated together. 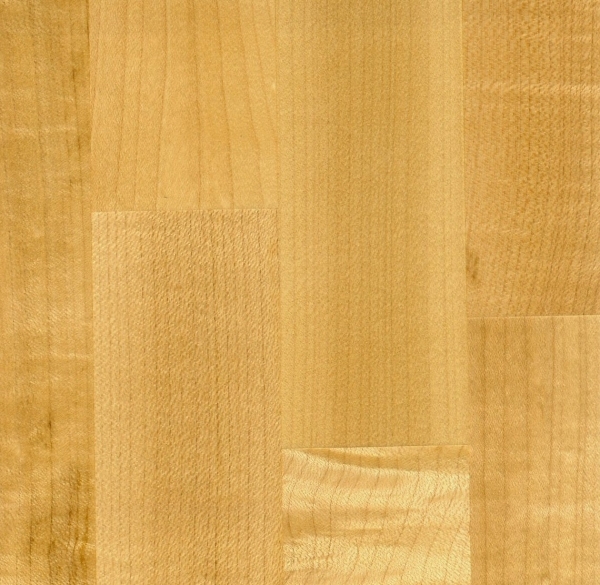 This hardwood is known for its beauty and durability. While youre replacing your kitchen countertops, you might want to consider matching the style and color of your cabinet doors. One consideration is the age of your home and kitchen. If you have a vintage kitchen youll probably want to make all efforts to keep that retro kitchen look. There are special considerations for restoring vintage kitchen cabinets. Unless you have built the butcher block countertop yourself, you undoubtedly had the dimensions taken and had it custom made. Either way, the wood must be sealed to avoid any warping or cracking because of moisture or lack of it. Nevertheless, like any wood product, bring it into your home several days before installation to let the wood stabilize with your homes interior conditions. As soon as youre ready to begin installation, youll need to make all the cuts needed. Then its crucial to seal the countertops open wood grain rapidly. This is to prevent cracking. Finishes used for this are oils formulated specifically for cutting boards or quality bees wax. A butcher block countertop is heavy and needs a good solid foundation. So it needs to be mounted on a 3/4 plywood surface, preferably exterior grade plywood. When humidity in the kitchen is elevated, butcher blocks will tend to absorb the moisture despite the rock maples tight grain structure. This will cause expansion. During times of less humidity, such as in the winter, it will contract. When installing your new butcher block, remember to make allowances for humidity changes. Most cabinetmakers slot all the mounting holes allowing the countertop a degree of freedom. If yours has been slotted, make sure that your bolts are placed in the middle of the slots. This will allow for both high and low moisture conditions. If the slots is arent there, fix this yourself by drilling holes in your plywood 3/8 bigger than the lag screws shaft. Youll use a washer between the bolt head and the plywood. Pre-drill the underside of the butcher block with a bit thinner than the lag bolts. Then attach your butcher block countertop to the plywood base from beneath with the lag bolts. 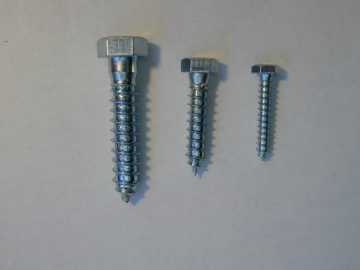 The length of your lag bolts depends on the thickness of the block so use bolts that are long enough to penetrate half of the way through your block. One bolt each linear foot is enough to be sure its secure. You will find it easier to screw the bolts in if you rub a small bit of bar soap on the threads. Now the installation is done and you can start enjoying your new butcher block countertop. Keep in mind that when it gets in bad shape from regular use, you just restore its natural beauty with light sanding and then resealing it. © 2009 KSmith Media, LLC; all rights reserved; content may not be copied, rewritten, or republished without written permission.